I finally figured out how to use shower toilets. The orange button on the left means stop. The next one is a "shower" for after going number 2. The next is a bidet for after going number 1. And the last one is a dryer. 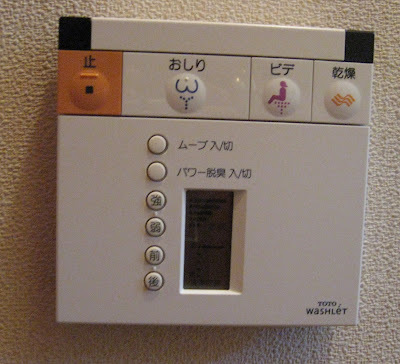 The round buttons below adjust the force of the water, and can move the spray forward or backward. And the seat is always heated for your comfort.